इस पन्ने को हिन्दी में पढ़ें ! 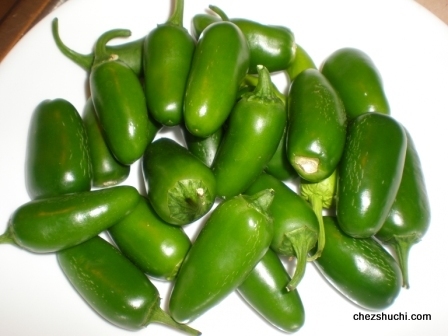 Jalapeño Pepper– The jalapeño is a medium sized Spanish chili pepper. It is a common ingredient of Mexican cuisine. Avacado-Its a fruit considered as very healthy. Avacadoes have caratenoids and are rich in potassium, dietary fiber, vitamin B-6 etc. 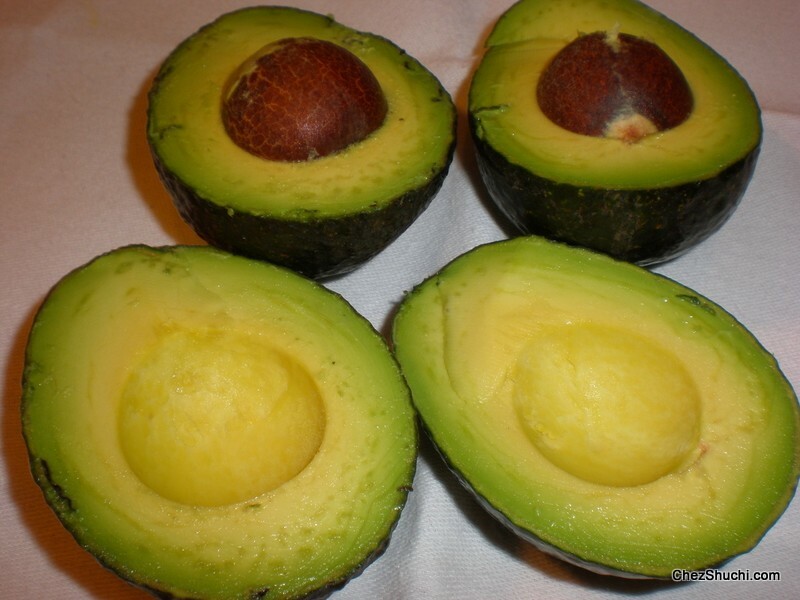 The following picture shows ripened avacado. Oregano-Oreganos are aromatic perrenial herbs. These herbs are also the member of Lamiaceae like Mint.It can easily be grown at home in the kitchen garden or even in a pot/ container inside the home. Masa Harina- Masa is a special type of flour that is made from dehydrated corn. To dehydrate the corn, the corn is boiled in lime, then dried and finely ground. This is a common ingredient to make Mexican flat bread tortilla. Wheat Flour( Harina de trigo)- Is a variety of wheat flour to make flour tortillas. If you do not find it use regular all purpose or wheat flour to make homemade flour tortillas. Sour cream- Sour cream is often served with quesadillas and some other Mexican delicacies. It is easily available in regular supermarkets in America. In case you don't find it in your part of world, make it at home. Mix 2 tbsp of plain yogurt (dahi/ curds) into ½ cup whipping cream. Cover and leave at room temperature overnight. Salsa is a Mexican variety of dip. There are so many different variants of salsa. Summer is the time of the year when the Bazzar is flooded with sweet corn, peaches, berries, mangoes etc.. So let us make a delicious, colorful, and very healthy sweet-n-tangy mango salsa. Salsas are served with corn tortilla chips..